Before watching live video, you will need to install our free PC software. If you are using camera with WiFi connectivity, Connect the camera to WiFi network before you try to watch it on PC computer. 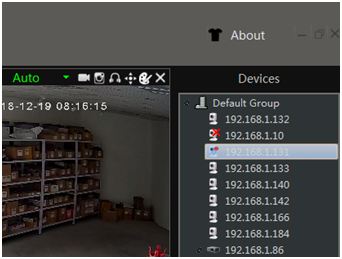 The antivirus software may block the connection between the PC software to the IP camera. You may need to add the CMS5 to white list of your antivirus software. 1. First, download and install the PC software with below URL. 2. Next, Right click the zip files and select “Extract All…” to unzip the file. 3. 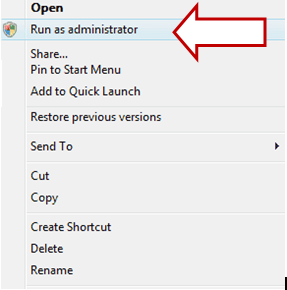 Now, Right click the files and choose “Run as administrator”. 4. 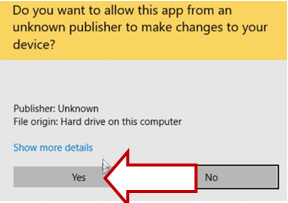 In the pop up screen, Choose “Yes”, so the software can be installed in your windows 10. 5. 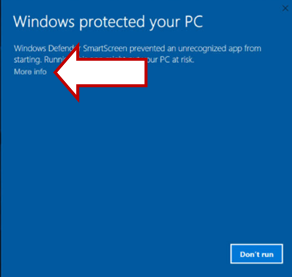 If “Windows protected your PC pop up”, Click “More info” to process the installation. 6. 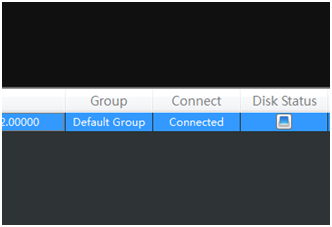 Next, find the icon CMS5 on the desktop, again right click the icon, choose “Run as administrator”. A login screen pop up. 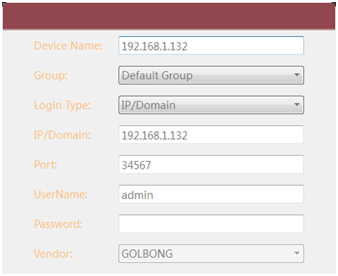 Fill and the user name and password. 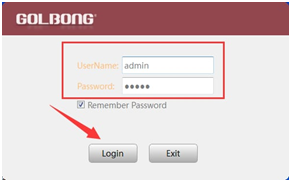 NOTE: both username & password is “admin” for the CMS5 software. 7. 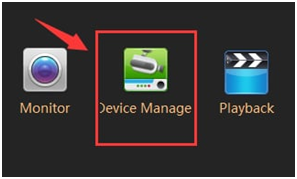 Press “Device manager”. In the next screen, wait for a few seconds, The software will discover your camera automatically and be listed on the top raw. 8. 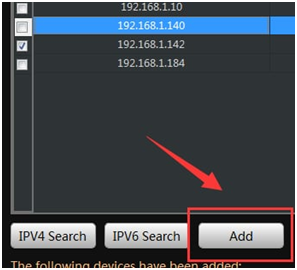 Now Tick the check box in front of the IP address to select the camera you would like to add to the software. 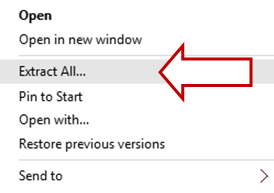 Click “Add” button to confirm. 9. 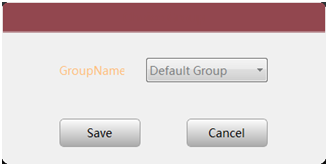 In the pop up screen, click “Save”, The camera will be assigned to the default group. 10. Next, your camera’s IP address will appear on the 2nd raw. Check the indicator status under “Connect”. If the status display “Connected”. The camera has been added to the CMS5 software successfully. 11. If it is “invalid password” show under “Connect”, You will need to click the pen icon on the right under “Operation”. In the pop screen, fill the password you have set for the camera, click OK to save. NOTE: the default password of the camera is blank (no password), Once you add the password for the camera, you will need this password to access the camera on both PC software and mobile app. If you forget the password, press and hold the reset button next to the micro SD card slot for 15 seconds, it will reset the camera back to factory default. 12. Now you can Return to Home. Click the camera name in the device list. 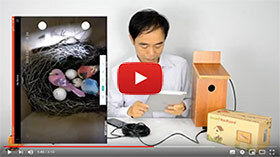 There is red dot appear on the camera icon, and the live video will be ready on one of the window. If you have any question, please don’t hesitate to drop us the email. We will reply you in shortly. Previous post: How to convert H.264 files to avi format. Sie funktioniert nicht. Anscheinend läuft sie nur bis Windows 8? Die Software sollte mit dem Betriebssystem Windows 10 kompatibel sein. Wir haben gerade die obige Anleitung aktualisiert. Würden Sie es bitte noch einmal versuchen? Danke, dass sie es uns wissen lassen. First of all, I would like you to make sure the micro SD card has been inserted to the bottom of the slot. You should feel the card gets stuck inside after you push it to the bottom. The camera should detect the card. You don’t need to format the card manually. However, some of the 128GB micro card may have compatible issue. Only few 128GB sd card works, because the 128GB has introduce the new format, only few back forward compatible. If you use 64GB or lower capacity card, it doesn’t has the compatible issue. Hallo, funktioniert die IP-Cam und die PC Software auch unter Windows XP ? Hallo, diese Software funktioniert mit Windows XP und Windows 10. Wenn Sie mit Mac arbeiten möchten, haben wir eine andere Version für Mac OS. I do not see the stap nr. 9 as shown above if I try to add a group manually it stays on not connected, while I can see the images of the camera on the app, so it is working.